Wayfinding was poor and there wasn't even a menu at the start of the line. We went early, but the line wasn't set up very efficiently. Take-out and dine-in was the same line. Cashier at the end. Wayfinding is not the strong suit at St. James. Really no signs leading you to the cafeteria. Line moved fairly quickly, only about a 10 minute wait. You get your food and then pay after. A few more menus than last time we visited. Better on greening. You get a school cafeteria tray, so they are cutting down on styrofoam! No visible recycling however. Wayfinding is still not a strong suit. Hard to find the cafeteria from the street and parking lot - we ended up using the smell of fried fish to lead us. We ended up coming in the back door. Nice overall menu sign, which was a nice touch. Very crowded. About a 20-30 minute wait at 6:00pm, but no problem finding a place to sit, even though we had six in our group. 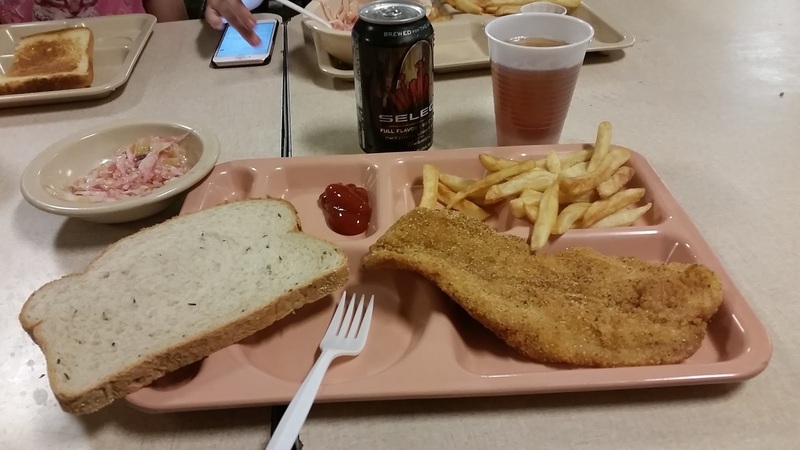 The use of cafeteria trays instead of styrofoam plates is a big plus for greening and adds a "fish" to their rating. Cod breading didn't have much kick. Sides were OK. Desserts, however, were varied and homemade. White and red manicotti was very good. Highlight was probaly the manicotti. Cod was much better than we remembered. Cod was fried nicely. Breading didn't have much spice, but overall, Cod was nicely done. Highlight is still the red and white pasta side choices. Other sides were OK. Nothing really stood out, but they were done well. Cod was pre-breaded fish squares, but their other choice for fried fish was very good (pollock?) Baked fish and shrimp are also choice. Plus clam chowder. Highlight of St. James is always the pasta sides with a choice of red or white pasta. Desserts are another highlight! I had a banana cake which was delicious. Great value! 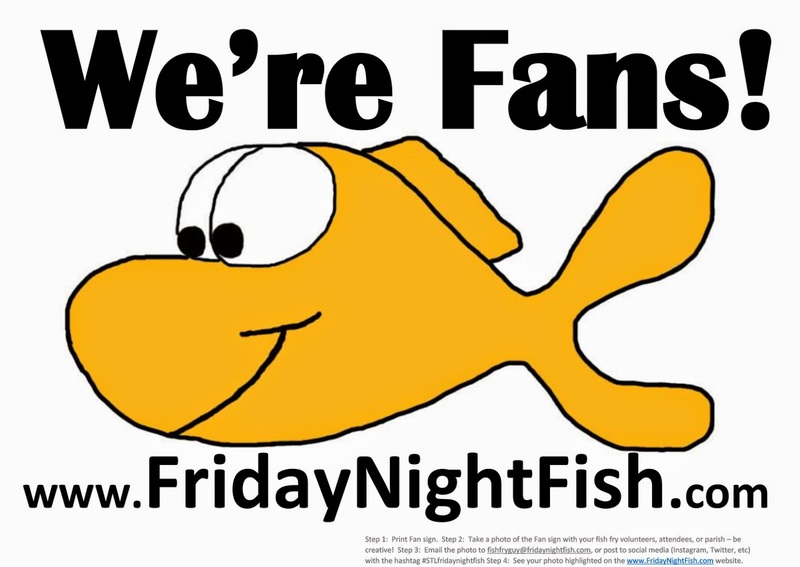 $7 for large cod, dessert, tea or lemonade -everything included! $2 beer. Still a great value and deservedly makes our top value list. For our family of five, only $28. Includes dessert and drinks (tea or lemonade). Prices have risen some since 2007, $8.50 for adult dinner (includes two sides). Senior dinner $7.50. Kids fish dinner is $6.00. Other kids options include grilled cheese $2 and cheese pizza $1.50. Beer $2, Soda $1. Still a very good value. $9 for adult plate fish which includes two sides, tea/lemonade/coffee, and dessert. $10 shrimp plate. $7 kids plate. $3 cheese pizza slice. $3 clam chowder. Beer $2. Small cafeteria kept crowd from feeling small. Piped in classic rock was a little out-of place (this may have been because 96.1 had broadcast from there). Everyone was very friendly. Good buzz of conversation. Small cafeteria feels a little dark, but friendly volunteers lighten the whole room. Crowded cafeteria! 20 minute plus wait, but we still easily found seats. Great buzz of conversation. 3 out of 4. Good solid fish fry even though Cod was disappointing. Great value and manicotti was a highlight. Although wayfinding wasn't that great, it was just me and the kids, we were able to get our order and eat easily. A great neighborhood fish fry. I was probably too harsh on the Cod on our previous review. 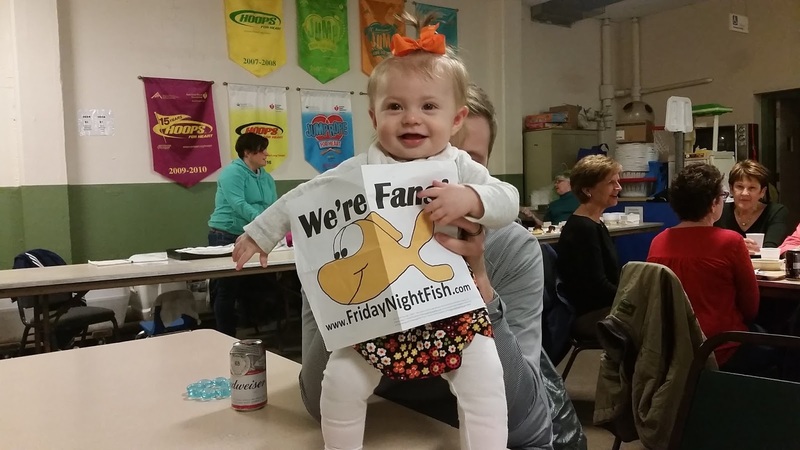 Good Cod and overall a good solid fish fry. 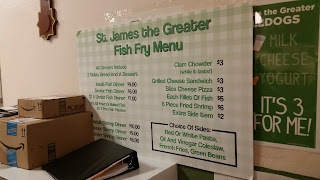 St. James has Ash Wednesday and Good Friday fish fries, so if you are looking for a good fish fry on those dates, check them out. 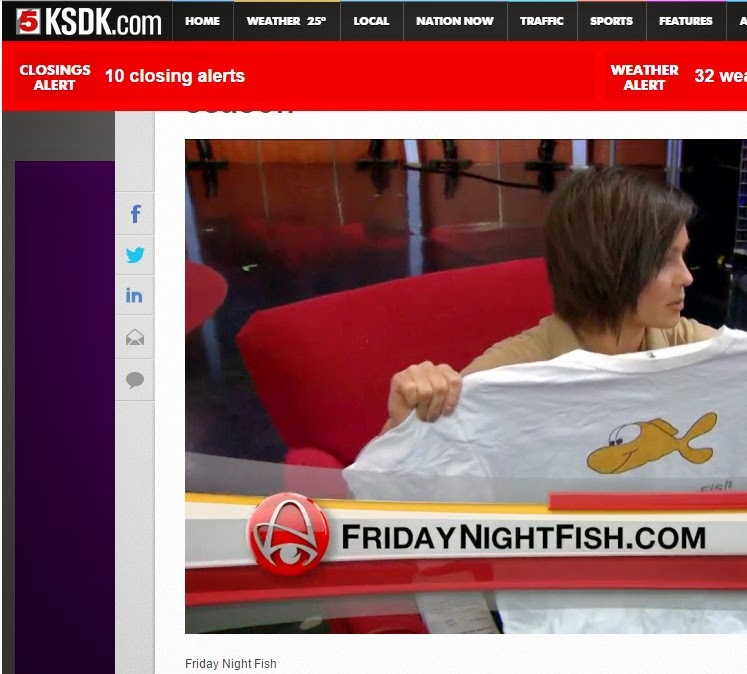 Still a good solid fish fry. 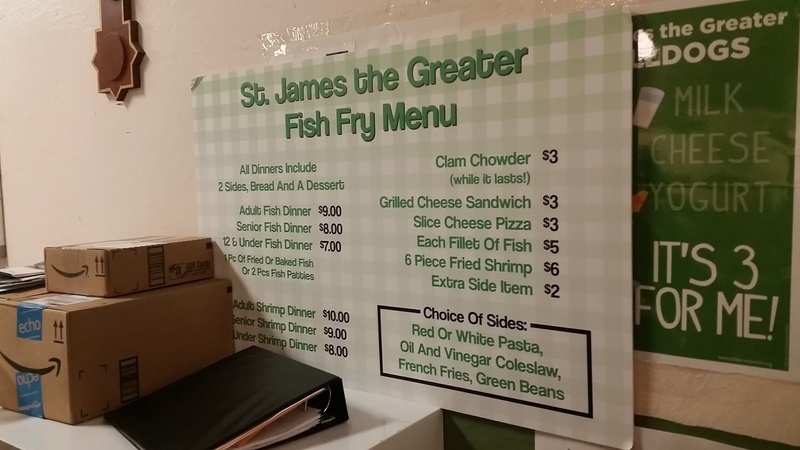 St. James was in danger of having their school close, so we wanted to go to support their fundraising efforts. 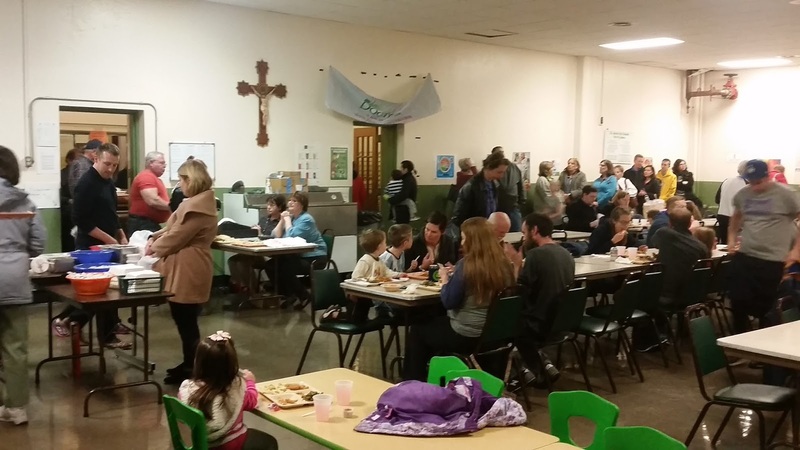 The large crowd showed the passion of the parish and community in supporting their school. The other fried fish (not Cod) was very good and the pasta and desserts are a highlight. We had a great time hanging out with Matt from Sauce magazine on our visit.